Curran Walters wears grey high top Converse “Chuck Taylor” All Stars in the series. 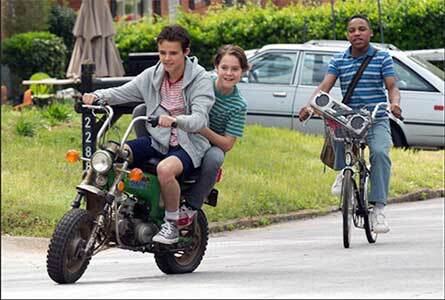 Cannon Kluytman wears black low top Converse “Chuck Taylor” All Stars in the series. 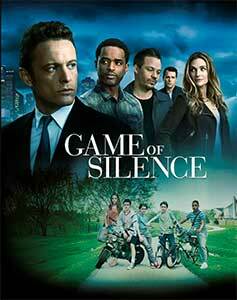 The poster for Game of Silence. You can’t always run from your past, and what you did as a kid can come back to haunt you in a big way as an adult. Based on a hit Turkish TV series, Suskunlar (which translates literally into “game of silence”, NBC’s Game of Silence follows Jackson Brooks, a successful attorney who seems to have it all. However, we soon learn that he hides a dark past, and he learns how much your past can come back to haunt you when his long-lost childhood friends unexpectedly reappear after 25 years, creating cracks in his perfectly crafted persona. A well intentioned move to save their friend from her alcoholic mother once cost the boys nine months of their lives in Quitman Youth Detention Facility. Now the nightmare of the worst nine months of their lives has resurfaced, uprooting a mystery even deeper than their buried past. The gang gears up for adventure. We first meet Jackson as a man who has carefully crafted a perfect persona for himself. He’s a high-profile lawyer dressed in fancy, designer suits and living an extravagant life with his fiance/boss Marina. However, we also see that Jackson has not properly dealt with the trauma of his childhood, and he definitely has not come to grips with his unresolved feelings for Jessie, the girl him and his friends saved all those years ago. We see him show off his lawyering skills in a courtroom, and we see how successful he is at his job. However, all that Jackson has built is soon put into jeopardy when he is surprised when his old friends Shawn, Gil, and Boots, who he hasn’t seen in 25 years, reenter his life. It’s also around this time that the corrupt warden from their time at Quitman, Roy Carroll, decides to run for Congress. This bands the old friends together as they decide to put a stop to his reign of terror once and for all. 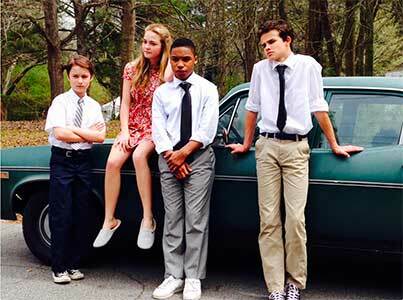 Young Jackson and young Boots both wear chucks in the flashback scenes. Much of the show focuses on flashback scenes in order to piece together the complicated past of this group. In these flashback scenes, we can see a young Jackson Brooks (Curran Walters) wearing grey high top chucks, as well as seeing young Boots (Cannon Kluytman) wearing black low cut chucks. 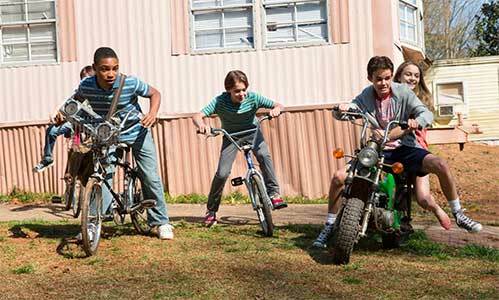 It’s also in these scenes where we learn how the boys ended up in the Quitman Youth Detention Facility. 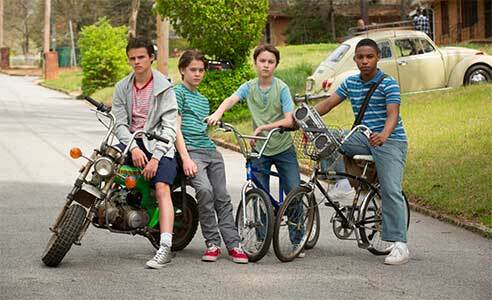 The boys were enjoying a typical summer day in their town, when they arrive on the house of their friend Jessie. She is in an argument with her obviously drunk mother. The mother shoves Jessie into a car and attempts drive off with her, but Jackson steps in seeing she is in no condition to drive. He wrestles the keys away from her, and drives off with everyone else in the car. Everything is going well until Jackson crashes the vehicle head on into another car. The kids make it out of the accident with nothing more than scratches and bruises, but the other car’s driver is not so lucky, as she dies in the crash. This is what sends the boys to the Quitman Youth Detention Facility, and what leads to the torment they faced there. The series stars David Lyons as Jackson Brooks, Michael Raymond-James as Gil Harris, Larenz Tate as Shawn Cook, Bre Blair as Jessie West, Demetrius Grosse as Terry Bosch, and Derek Phillips as Gary “Boots” Nolan. These six make up the group of kids whose lives were changed forever after that fateful day, and who now have to live with the consequences as adults. The series also features a supporting cast that includes Conor O’Farrell as Warden Roy Carroll, Claire van der Boom as Marina Nagle, and Deidrie Henry as Detective Liz Winters. The cast does a good job with the material that they are given. There’s a lot of emotion behind the trauma these characters have gone through, however the plot is far too convoluted to really appreciate any of it. There are so many twists, turns, and plot lines that it’s impossible to keep up. These make the show feel like a generic network drama, as you can see the twists coming and each leaves you dissatisfied from how little they move the plot. This may be why the show only stayed on the air for one season, which is a shame because it seems that the cast really put their heart and soul into it. Overall, the show has a really interesting premise and strong cast, but fails in capitalizing on both. Some key episodes to check out include “Pilot”, “Hurricane Gil”, “Ghosts of Quitman”, and “Blood Brother”. Back when things were simpler.